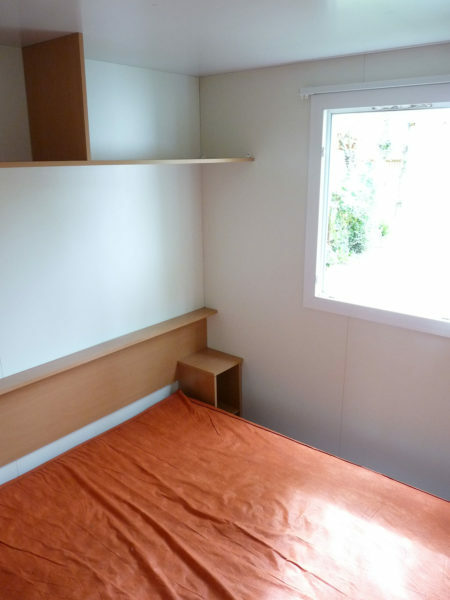 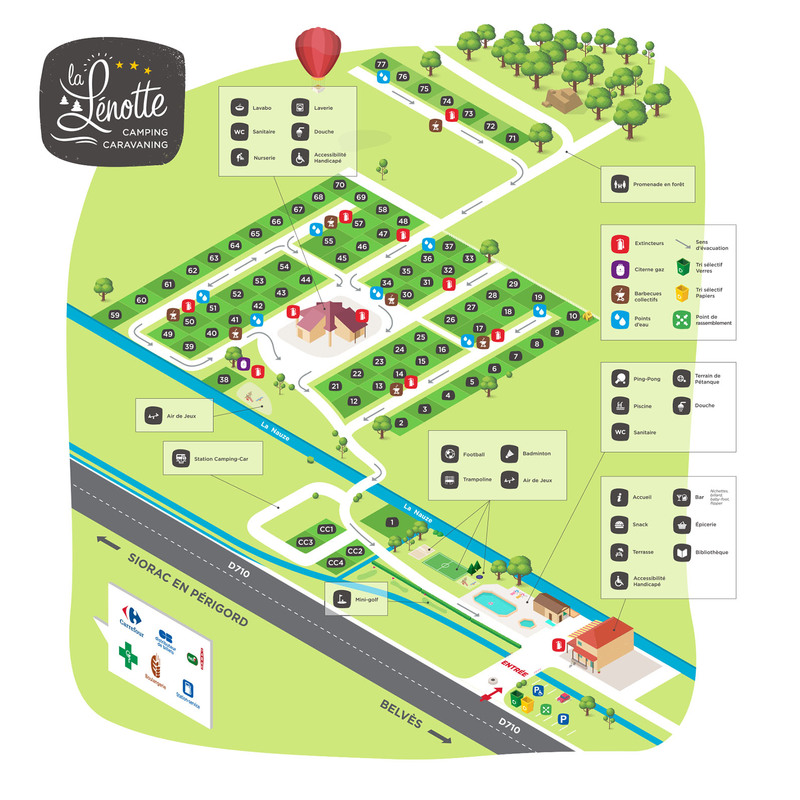 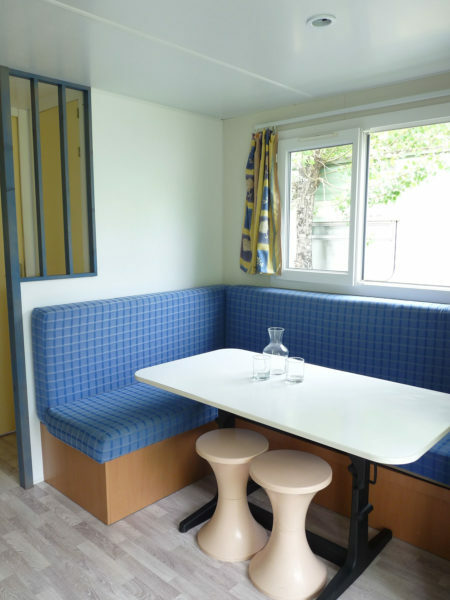 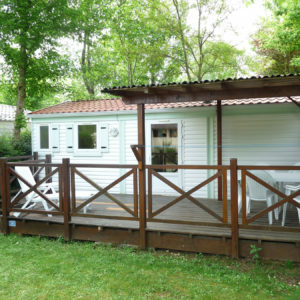 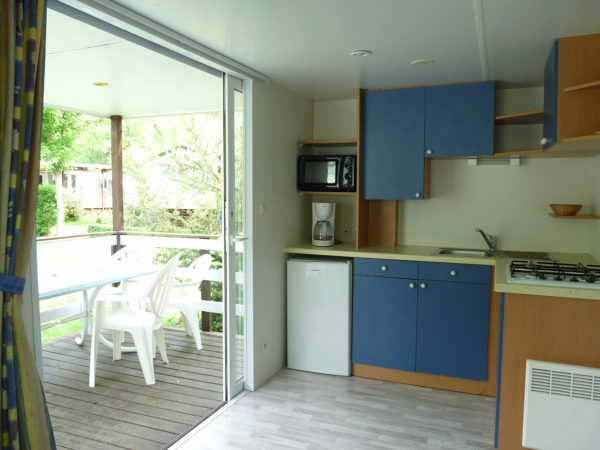 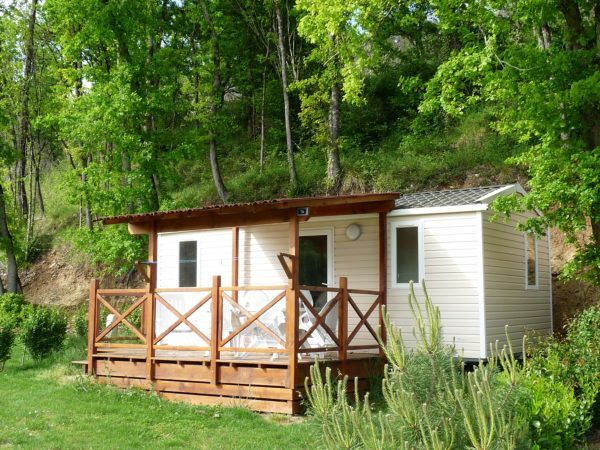 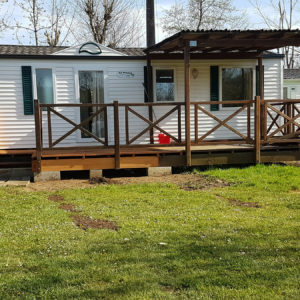 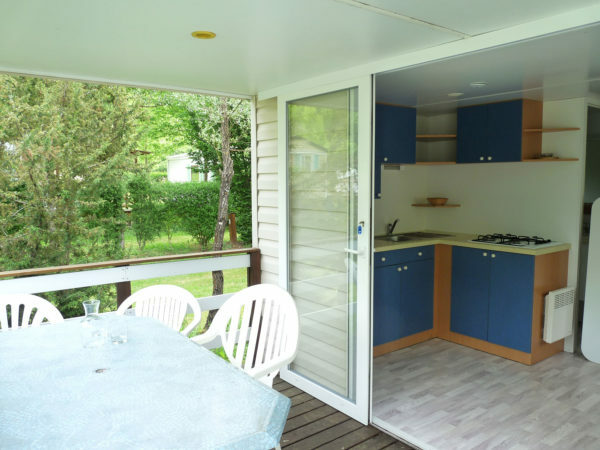 Camping La Lenotte / Accomodations / Mobilhomes / Mobile home 5 pers. 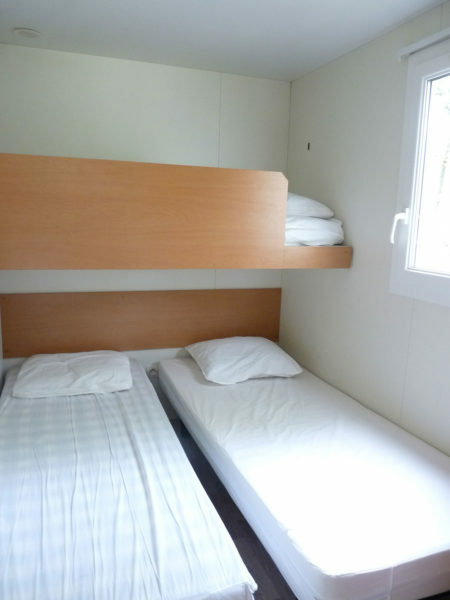 Big brother of the Mobil-Home 4 persons, the Mobil-Home 5 people is not bigger but proposes a third bed in the second room. 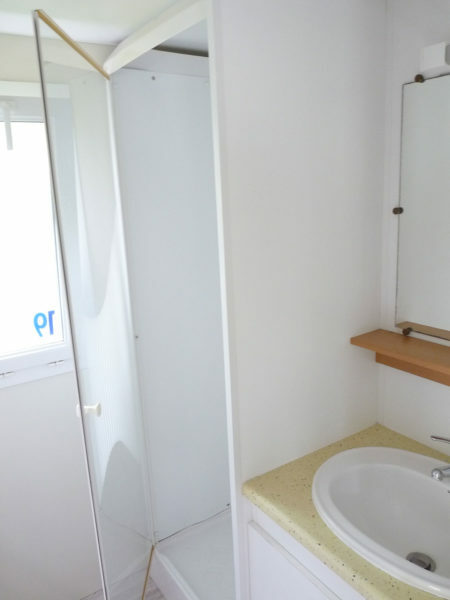 So you would rather opt for this one if you have 3 children. – Larger beds in second bedroom (3 beds 80 x 190). The living room with kitchen (fridge, hotplates, sink, microwave, coffee maker and all the dishes) and table. 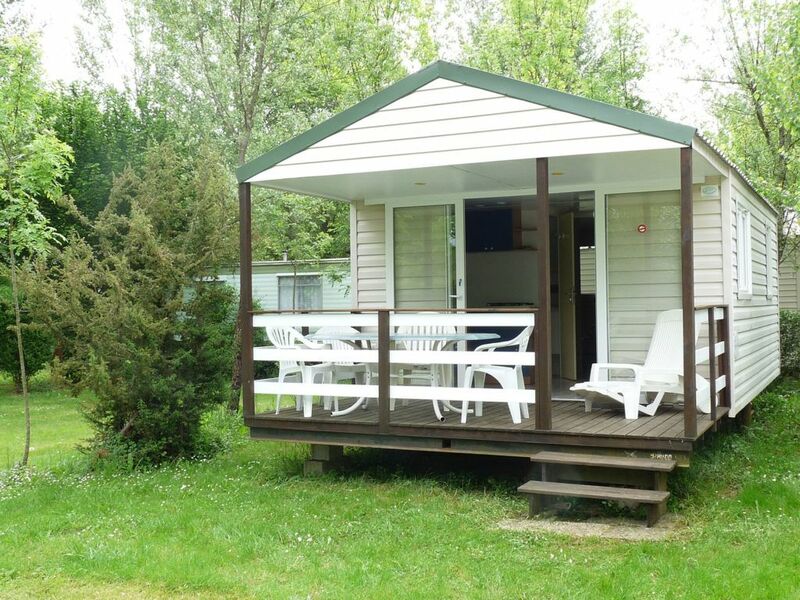 The rental 4 people but bigger!